I'm going to plan on being here. Haven't been in the sound since the last ThThTh I did in Jan. Was in Catalina in Feb, but that's the last time I got wet. Out. Apparently the mother in law is arriving that day. CaptnJack wrote: I would just get a steel and separate ali plates. But two plates is actually cheaper. Adding to this, but if you get separate plates, rig up a new harness so you don't need to transfer it over. Webbing is cheap. Just transfer the wing and tank bands. I'm out. Might try and do next week though. Topic: CANCELLED 2/7 ThThTh The Tunnel's open edition! Topic: Do strobes blind fish? Out this week. Might try for next week though. Got a new snoot coming in for the camera rig to try out. Probably in for this one. Topic: ThThTh 1/10 Viaduct Apocalypse edition! Re: ThThTh 1/10 Viaduct Apocalypse edition! Out this week. Maybe next week. Looks like you're putting the new diopter to good work. I still haven't seen a sea angel. 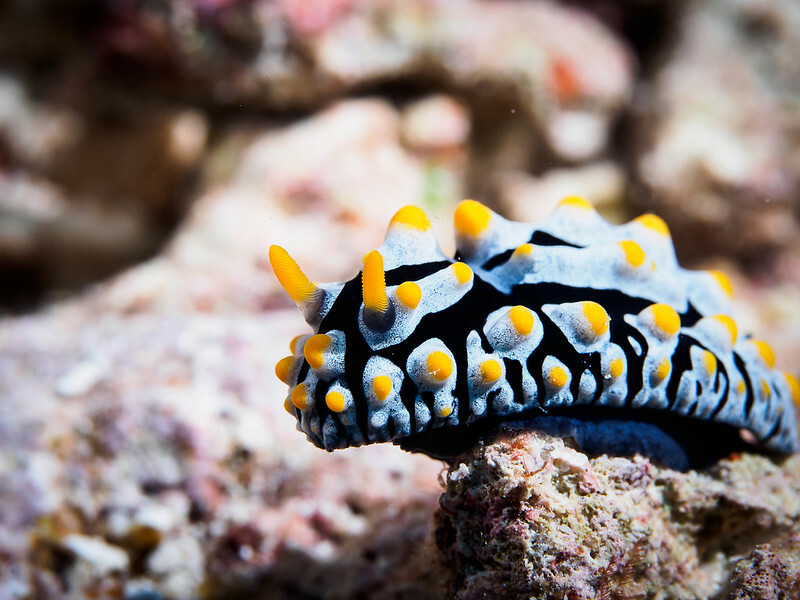 Looks like Phyllidia varicosa on that one, Jess. Saw some of those in Palau as well. There's also another species in the family that has pink instead of yellow. I'm only seeing 13mph winds from the south. Still a big exchange though. That's the one from the first photo. Was good for photos because you could sit in front of it and wait for it to get super close. I haven't been to three tree in a while before this. Need to get back more. I saw one at Sund rock. And a bunch of the little winged sea slugs flapping around redondo. Can't make this one. Won't be able to get my tanks filled in time. Maybe next week for first of 2019? Out. Getting my neck seal replaced this week. Same. I'm out this week regardless. Might try and do next week though. I'll be in. Finally getting over being sick. Plus I gotta pick up my new Weezle anyway. Just kidding. Turns out I can't make it tonight. I'll be there next week for Lumpies.